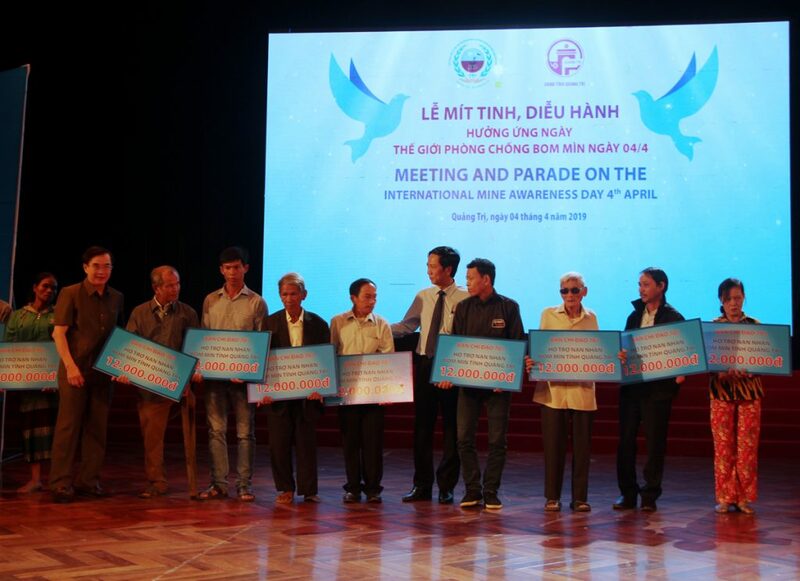 Dong Ha, Quang Tri (4 April 2019): Over 1,000 people on Thursday joined a public meeting and parade at the Quang Tri Provincial Cultural Center in Dong Ha to commemorate the United Nations’ International Day for Mine Awareness and Assistance to Mine Action. 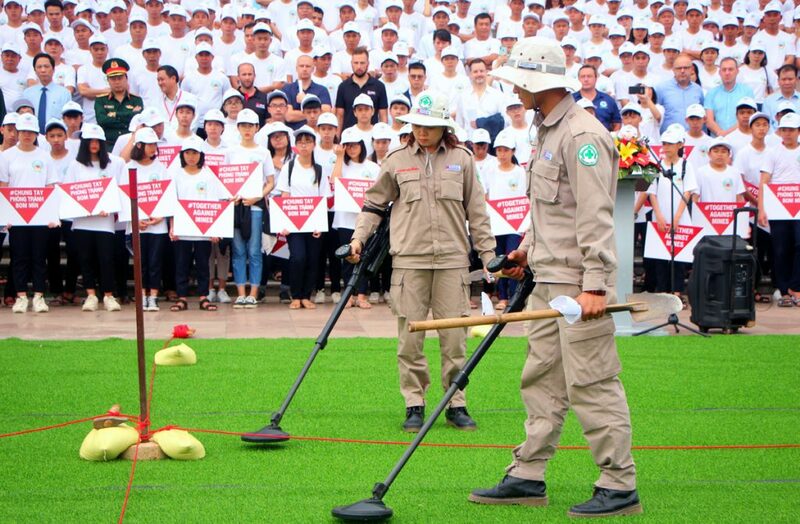 Quang Tri was selected for this occasion – the first time to host such a national event – because Quang Tri Province is the most heavily contaminated by unexploded ordnance (UXO) of all the provinces in Viet Nam. On 8 December 2005, the UN General Assembly declared that 4 April of each year would be observed as the International Day for Mine Awareness and Assistance in Mine Action. This day aims to raise awareness about landmines and encourage progress toward their eradication. A joint event by Vietnam National Mine Action Center (VNMAC) and Quang Tri Provincial Steering Committee on Mine Action, the public meeting and parade was attended by Major General Phung Ngoc Son, Commander of the Corps of Engineers and General Director of VNMAC, Mr. Hoang Nam, Deputy Chairman of Quang Tri Province People’s Committee and Head of the Steering Committee on Mine Action, representatives of foreign embassies and international organizations, employees of humanitarian mine action organizations, and students in Quang Tri Province. In front of the Provincial Culture Center, operational teams from Project RENEW-Norwegian People’s Aid (RENEW-NPA), Mines Advisory Group (MAG), and PeaceTrees Vietnam (PTVN) conducted a demonstration of UXO survey and clearance procedures which are being implemented in Quang Tri Province with major funding provided by the U.S. Department of State and the UK aid agency DFID. Two Technical Survey operators of Project RENEW-NPA demonstrating the use of metal detectors in searching for cluster munitions and other explosive remnants of war. In 1996, Quang Tri became the first province in Vietnam to receive international assistance to deal with the problem of UXO. Since then, with support from international NGOs, 9,714 hectares of contaminated land in the province have been cleaned up. A total of 528,571 items of UXO have been found and safely destroyed. From an average of 70 UXO casualties a year in the period of 2001-2005, the accident rate in Quang Tri was reduced to only three UXO accidents in 2017, resulting in three injuries. Of special note is the safety record in 2018: that year was the first time since the end of the Vietnam War in 1975 that Quang Tri Province had zero accidents. 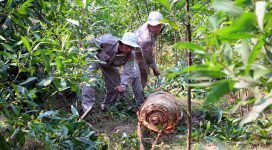 “The cooperation between Quang Tri Province and central agencies and international organizations has set an effective approach to sustainably manage the post-war explosive remnants,” said Deputy Chairman Hoang Nam. 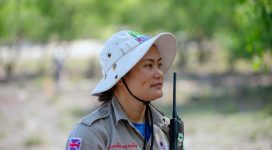 “We would like to thank the Central Government and agencies, international NGOs, local authorities and people for their support and engagement in dealing with UXO, making Quang Tri the first province to be declared ‘impact-free’ by 2025,” Nam added. 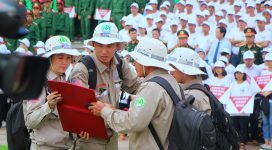 Together with Major General Phung The Son, Deputy Chairman Hoang Nam gave awards to 30 survivors of UXO accidents in Quang Tri for improving their livelihoods. Following the demonstration and meeting, delegates, deminers and students joined a biking parade that ran through Dong Ha City to promote the UN’s Mine Awareness Day. 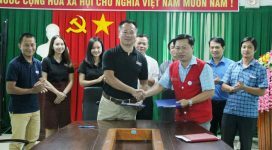 Earlier, on Wednesday, Project RENEW, MAG and PTVN provided support to VNMAC to conduct two Mine Risk Educations at two secondary schools in Cam Lo and Trieu Phong Districts.